Let's face it – not every kid out there has the coordination that's required for football or baseball. These sports call for good eye-hand coordination and well-developed leg muscles. If your wife isn't too keen on exposing your son or daughter to violent sports, you need to find a plan B. As much as this might sadden us, there are plenty of other options out there if you're itching to raise the next best athlete. Swimming. This is an ideal alternative for children who can't seem to keep their eye on the ball. 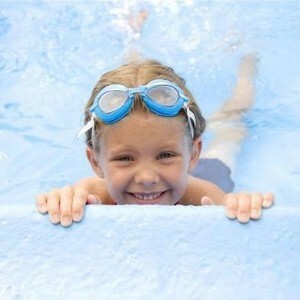 Because swimming is more of an individual effort, it's a great way to give the kids some self-discipline. Golf. Although boys might be more likely to take up golf, there are plenty of professional female golfers you can watch on TV to try to get your daughter interested (Yani Tsang, anyone?). This will not only endow your children a competitive edge, but it'll also persuade them to enjoy the great outdoors. Running. There's no shame in being the star of a track team. Convincing your children to take up jogging is perhaps one of the best ways to get them fit at a young age. After all, you never know if you have the next Usain Bolt on your hands.